Short term vacation rental condo built by Hoopes Const. Located in the beautiful Freedom Village.Large pool spa, clubhouse, playground etc. Home listed is a second floor South center home.Other homes are also ready to buy. Zoned legally for overnight renting. Perfect for a second home buyer who wants to maximize their investment. This home has another room that could be used for tv roomAs this is a new neighborhood, these are estimates on HOA fees, and other details may vary. These homes are filled with upgrades and quality. Complete with quartz countertops, tile showers, Anderson lifetime warranty windows. Hunter Douglas plantation shutters included. Designer available for furnishing at additional expense. Smart thermostat and smart door. Pool and club house are completed. As well as pickle ball course and playground, rv parking. 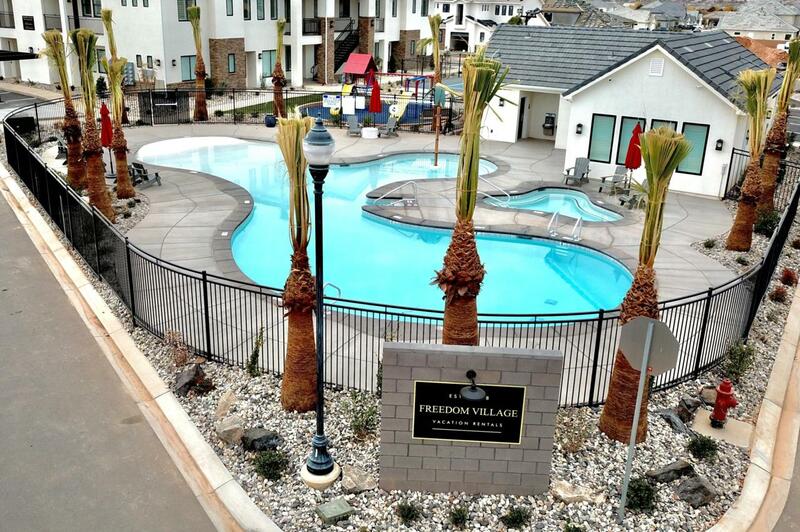 The intrigue of Freedom Village is the unique location with only 49 units in entire community. The agent is an owner investor in the development.